So I thought it was time to take stock. What I’d like to do, after nearly a year of blogging, is to ask for your feedback on the blog. It’s important for me to know what you think because, as I’ve said before, in Decentralised systems (e.g. Linux, Bitcoin) the end user is important; you play a role in maintaining, improving and propagating the system. So I should practice what I preach! What annoys you about this blog? This survey takes a few minutes – and there’s a free lollipop at the end! It’s completely anonymous, and you can read other teacher’s comments also. It’s embedded below, or you can take it here. So thanks in advance for your feedback, it’s really valuable and will help me write future content. Also if there is anyone who is interested in writing a guest post – get in touch! 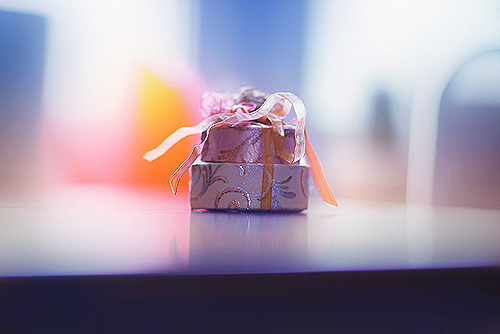 Present from flickr, pure9, CC License 2.0. Rainbow Lollipops from flickr, Stephanie Kilgast, CC License 2.0. This entry was posted on August 11, 2014 by paulwalsh in For Teachers and tagged birthday, Decentralisation, design, feedback, gift, lollipop, pedagogy, survey, teacher, user experience.